How can you find the best cancer treatment center when you have lung cancer? Whether you are newly diagnosed with lung cancer or looking for a second opinion, this is a critical question. Choosing a lung cancer treatment center is one of the biggest decisions you'll face during what is inevitably an overwhelming and emotionally difficult time. It would be nice if everyone had a top notch cancer center within minutes of their homes, but we know that’s not the case. And just as there is a spectrum of quality when it comes to plumbers and lawyers, medical care can vary across the country. What factors should you consider, and what questions should you ask, before deciding upon a center for your cancer treatment? It may seem overwhelming, but it is possible for you to get excellent care. Here are some steps to make the navigation just a bit easier. Before noting the specific factors to consider, it's important to make note of a large 2018 study that compared how the choice of a cancer center affected outcomes for people with stage IV lung cancer. Those who sought out care at academic centers, such as one of the National Comprehensive Care Network institutions, had significantly greater survival rates than those who were treated at community-based cancer centers. The difference in outcomes was greatest for those with lung adenocarcinoma. There are many potential explanations for these differences, but we know that the treatment of lung cancer is changing rapidly, and it's important to find a center with lung cancer specialists who are familiar with the latest updates and clinical trials available. Choosing quality care should come first when selecting a cancer center. If you're in a quality cancer center, many of the other factors will automatically fall into place. But unless you research cancer centers for a living, how can you judge the quality of care provided? Thankfully, a few databases are available to help you begin. The American College of Surgeons has a database which includes more than 1500 cancer centers that are accredited by the Commission on Cancer (Coc) of the American College of Surgeons.To be included, these centers have to comply with certain standards, and they must be dedicated to providing the best in cancer diagnosis and treatment. Seventy percent of patients who are newly diagnosed seek care at one of these centers. The National Cancer Institute has a list of roughly 70 designated centers. Several requirements are needed for a cancer center to make the list, one of which is that the center is actively taking part in research to decrease the death rates from cancer. Lung cancer treatment is complex. In addition to seeing an oncologist (a physician who treats cancer medically such as with chemotherapy), you may visit with a thoracic surgeon (the type of surgeon who performs lung cancer surgery), a radiation oncologist (a cancer doctor who specializes in radiation treatment), a pulmonologist (a lung specialist), palliative care specialists (physicians who specialize in treating the physical and emotional symptoms caused by cancer - note, this is not the same as hospice), and other physicians depending on what other medical conditions you're experiencing. In addition, your team may include physical therapists, respiratory therapists, and other specialists. One advantage of seeking care at a comprehensive cancer center is that many of these services may be available under the same roof. Along with the proximity and reduced travel, this often means better communication among your entire health care team. A cancer center that caters to a larger number of patients may have some advantages. The latest and greatest in technology—such as imaging and radiation therapy resources—come at a price. And a cancer center that treats more patients may be in a better financial position to invest in the newest equipment. Studies also suggest that people who have lung cancer surgery at high-volume hospitals suffer fewer complications and fare better overall. There is also a greater likelihood that a high-volume center will have support groups designed specifically for people with lung cancer. The particular lung cancer treatments you are interested in having may only be available at certain cancer centers. For example, some clinical trials for lung cancer are limited to certain centers, and some of the newer surgical techniques, such as VATS, may not be available at all hospitals. In addition to conventional care, some people are also interested in the availability of complementary/alternative treatments such as acupuncture and massage therapy. While many of the larger cancer centers are now offering these therapies, some centers are more focused on integrative treatments than others. For some people, receiving care near home, or near family, is very important, while others may be more willing to travel for treatment. If you choose to travel, ask about housing when you make your appointment. Some cancer centers have hospitality houses nearby that provide housing free of charge during cancer treatment. The center may also be able to offer discounts on local hotels. Traveling for treatment, whether by car or plane, can be expensive. 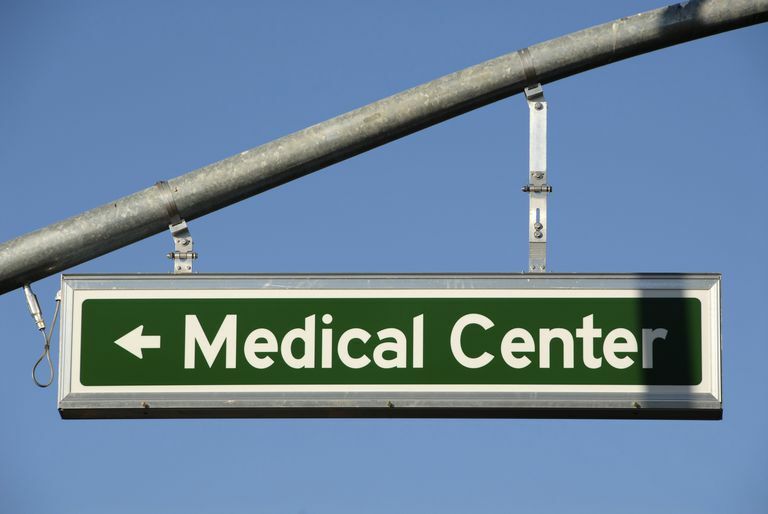 Keep in mind that transportation and lodging for medical reasons are deductible medical expenses. It’s important to check with your insurance company to see if they cover treatment at the cancer centers you are considering. It’s also important to ask if the center is “in-network” or “out-of-network.” Out-of-network providers and centers are often covered, but with higher co-pays or deductibles. Choosing a cancer center under your insurance plan will help considerably with the costs, but you aren't limited (other than financially) in your decision. In other words, if a treatment is not covered under your insurance plan, you can still have it—you'll just be required to pay for it out-of-pocket. This is true for many of the integrative treatments for cancer, such as massage therapy and acupuncture. Some people are hesitant to ask for a second opinion: they're afraid they'll offend their physician, or they may be afraid to take the time needed to investigate another opinion. It’s important to keep in mind that getting a second opinion when you have cancer is not uncommon; in fact, it’s almost expected. Just as you would check out more than one dealership when purchasing a new car, checking out more than one treatment center is very important. On the one hand, you may find an approach that better meets your needs, while on the other hand—if the opinions are similar—you'll feel more comfortable that you're on the right track. Yes, it does take some time to arrange a second opinion, but most cancers have been growing a long time before they're finally diagnosed. Sometimes urgent treatment is needed, but more often there's a window of time to seek out other opinions before commencing treatment. Most people are very anxious to get started with treatment, but taking the time to take a deep breath and get a second opinion before making your final choice can often pay off over the long run. An option for those who don't have the desire or finances to travel for treatment is requesting a remote second opinion. Several of the larger centers listed below (and more) now offer this option. The cancer team at the treatment center will ask to review your records, and can then offer their thoughts. What treatments do you recommend for my particular cancer? If opinions differ about treatments, what are the reasons behind their recommendations? Who will be my “go to” person—the person who manages my care from all the specialists I’m seeing? Will I have a case manager? Who would I contact on evenings or weekends when I have questions? If I need to be hospitalized, where would I be admitted? Can I receive all of my care at this particular clinic or hospital, or would I need to travel to different locations, for example, for chemotherapy and radiation therapy? Are there any patients you have treated that I can talk to about their experience? Did the healthcare team offer me respect? Did they listen carefully? Were my questions answered? Were they answered in the way you would like them answered—enough in depth to make a good decision, but without medical lingo you can’t understand? What is my “gut” telling me about the center? Where would I, and where would my family, feel most comfortable? Some people enjoy looking at websites of cancer treatment centers to get an idea about the services offered. Below is a short list that is used only as an example, and not as a recommendation for any particular center. Most cancer centers and hospital systems have websites available that may be able to answer some of your questions. As you make decisions about your treatment choices, it’s important to remember that you are in charge of your own care. Physicians will offer you many choices, but it's ultimately up to you to make the decisions. Some people will want to be as aggressive as possible with their options, while others will choose not to pursue treatment for their cancer at all. Most people will want at least one additional opinion to help them make the choice that is right for them, with as much information as possible. And learning ​how to be your own advocate in your cancer care appears to not only improve the quality of your care but may improve outcomes as well. As a final note, in order to be an active part of your treatment team, learning as much as possible about your lung cancer is very helpful. National Cancer Institute. Fact Sheet. How to Find a Doctor or Treatment Facility if You Have Cancer. Updated 06/05/13. National Cancer Institute. NCI-Designated Cancer Centers. Park, H. et al. Impact of Hospital Volume of Thoracoscopic Lobectomy on Primary Lung Cancer Outcomes. Annals of Thoracic Surgery. 2012. 93:372-379. Ramalingam, S., Dinan, M., and J. Crawford. Survival Comparison in Patients with Stage IV Lung Cancer in Academic versus Community Centers in the United States. Journal of Thoracic Oncology. 2018. 13(12):1842-1850.